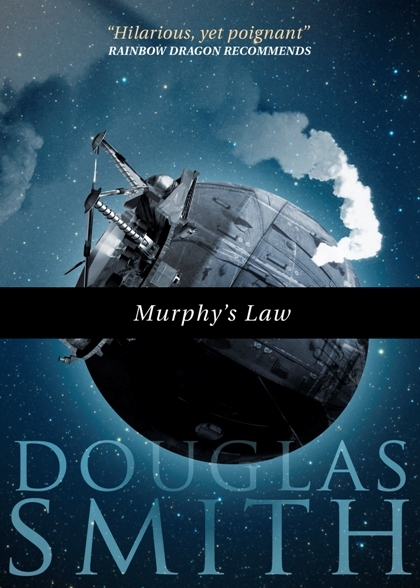 As First Officer on the part passenger ship, part space freighter, The Fiscal Restraint, Jack Dexter (Dex to his friends) thinks he knows all there is to know about "Murphy’s Law": If anything can go wrong, it will. And on the perpetually under-staffed, under-funded Restraint, it generally does. But he never expected to actually meet Murphy. The real Murphy. Dex hires Orville Sod onto the Restraint just before the ship makes the jump to deep space. Unfortunately, by the time that Dex figures out that Orville is a real-life "Murphy"—one of those sad souls who attract more than their fair share of calamity—things have become, uh, complicated. A VIP is almost killed… Food systems have shut down… The navigation computer has been destroyed.